The commandment to attach fringes to garments was invested with deep theological meaning. The tallit (prayer shawl) was to remind the Jew of the commandments of the Torah. How do the fringes of the tallit remind one of the commandments? The Jews’ search for a logical correlation between the tallit and the commandments of God was rewarded with intriguing discoveries. The numerical value of the word tzitzit (fringes) is 600. Each of the fringes contains 8 threads and 5 knots, making a total of 613. This number corresponds to the 613 commandments contained in the Torah. 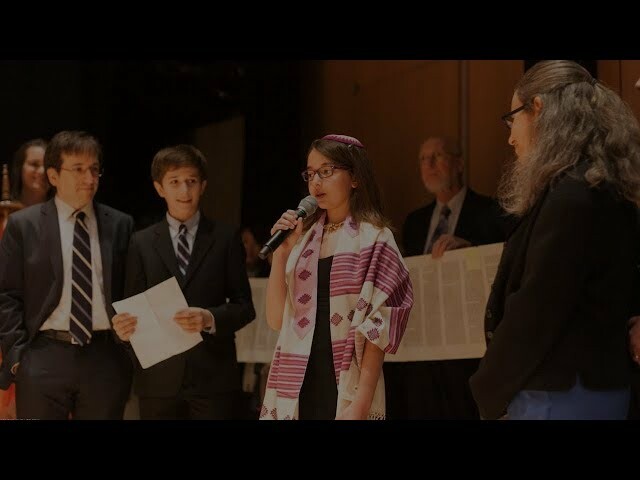 Learn how to put on tallit here! It was also noted that in making the fringes one winds the long thread around the other threads between the 5 knots 7, 8, 11, and 13 times respectively. The first three numbers equal 26, which is the numerical value of the Tetragrammaton. The remaining number equals the numerical value of the word ehad (“one”)–the last word in the opening verse of the Shema. The fringes of the tallit thus not only remind the Jew of the 613 divine commandments, but also underscore the central doctrine of Judaism, that the Lord is one. Ethical and theological meanings have also been read into the symbolism of the tallit. According to the Midrash, wrapping ourselves in the prayer shawl is to aid us in attaining a proper mood of reverence for God and a prayerful spirit during our worship. The prayer shawl has remained an inseparable part of Jewish worship. Its importance can be judged from a touching incident that occurred in 1493. In that year the Jews of Sicily were despoiled of all their possessions and expelled from their homes. Before leaving the island they petitioned the authorities for the privilege of taking their prayer shawls with them. Their petition was refused. Reprinted with permission from Jewish Worship, published by the Jewish Publication Society. A step-by-step guide to putting on tefillin to pray in the morning.